Hello Sunday! I wasn't brought up with a faith, I never attended church (except once with a friend from school) and so Sunday has become sacred to me for another reason. It's usually the one day in a theatre week that a show doesn't perform. Now, even when I'm not employed in a show, my whole body goes into a relaxation mode on a Sunday. Even when I lose track of the days. If I wake up feeling snuggly and strangely unmotivated, I can usually tell! Sundays have my heart. They've also now become the day I write and upload a blog and every other Sunday is the day Celinde Schoenmaker and I upload the next episode of our podcast...more on that in a minute! I like the idea of writing and uploading in the same day. I get that instant gratification from working hard on something and then immediately releasing it into the wild and it should mean (hopefully) that it feels fresh and spontaneous and therefore a little more interesting to read...that's the idea anyway! Whilst I know we're already nearly done with February, I'm still catching up with myself a little bit with regards to my ideas and plans for this blog so I'm going to do a January round up (and then continue to do a monthly round up blog every month!). On January 6th, I started packing up my flat to move out into my house on January 18th. I couldn't even begin to fathom the amount of "stuff" I had accumulated. Pointless crap I hadn't seen in years that had absolutely no place in anyone's home, let alone my own! The most hilarious was a full shelf of sanitary towels and tampons all of which were past their expiry dates by about two years. I don't know how or why this happened. Whilst I was with the girls, I booked one last ticket for January 11th to go and see my boyfriend, Oliver Ormson, in Panto in Wolverhampton. He was playing Prince Harry in Sleeping Beauty and having already seen it twice before, I knew I loved it and I didn't want it to end without seeing it one last time. Also, any excuse to see and spend time with Oli! He's my favourite. 🚨 Mushy girlfriend alert. 🚨This is the third and final time seeing @oliverormson in @wolvesgrand Panto and I can’t even begin to explain how proud of him I am! I always knew he was a prince but sitting in the crowd watching the audience swoon with me has been such a delight. 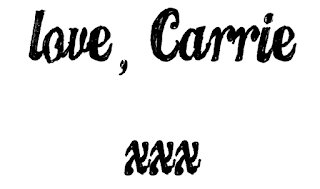 Panto schedules are gruelling, too. Twelve shows a week! Crazy! But he’s never complained and just been utterly brilliant through it all. I’ll miss seeing him as Prince Harry (and I’ll REALLY miss Sooty!) but it’ll also be super lovely having him back home! 🥰 🎃 🥰 Congrats on an amazing run, Pumpkin!!! On January 13th, I began reformer pilates with my sister-in-law which has sparked off a love affair I'm not sure either of us quite expected. For those of you that don't know (because I absolutely didn't! ), reformer pilates is a type of exercise class in which you're lying on a moving platform attached to different springs that all have different difficulties. The exercises include pushing and pulling the carriage or holding it steady as the springs resist you. It's a kind of exercise that you can feel working but doesn't make you feel like you're going to die...! Giovanna and I started going twice a week but have now upped our attendance to three classes a week. Definitely my kind of thing and after eleven lessons, I've already seen a difference in my body! I feel stronger and look far more toned than I think I ever have before. On that same day, I went to visit Sharpe Academy. This is a musical theatre academy of which I am the patron and they were rehearsing for their first musical of the year which happened to be The Addams Family. I was so excited to pop in and see what they were up to and not only was I reunited with a girl I went to school with who is now teaching at the academy, but one of the young boys playing Gomez was one of the boys who played Gavroche with me back in Les Mis 2013! Such small world and I had a really wonderful afternoon watching some ridiculously talented kids who I just know I'll be watching on West End stages in the not so distant future! Tuesday 15th, I went into a recording studio on Wardour Street to record the audiobook for Beth O'Leary's, The Flatshare. It's a marvellous book that I had so much fun reading and I was honoured to be asked to play the role of Tiffy in the book. I believe this audiobook is out now so if you fancy a listen, here's where you can find it! That evening was also my good friend Celinde's birthday and so I swung by for a quick cocktail on my way home! Then it was time for the big move! January 18th I picked up the keys for my new house and on January 19th I enlisted the help of my family to move my abundance of crap. I've already written a blog on moving so you don't need to read it all again but safe to say it was stressful and exciting in equal measures. January 24th, I went to have a meeting in London with my book agent, Hannah Ferguson and then we both moseyed down to the Little, Brown LTD offices to discuss plans for the paperback of When The Curtain Falls and the publication of my next novel, In The Time We Lost! If you're interested in hearing more about my next novel, you can read the prologue here and if you like it that much you can pre-order it here! It was lovely to see the team altogether and discuss all of our exciting new plans! January 29th, I took the long and arduous trek from the end of one tube line all the way to the other and visited Celinde Schoenmaker, Ramin Karimloo and Ben Forster to talk over some exciting plans of our own...more on this in the future, I hope...!!! On that same day, Celinde and I took the opportunity to start a creative project we've been talking about for almost a year. 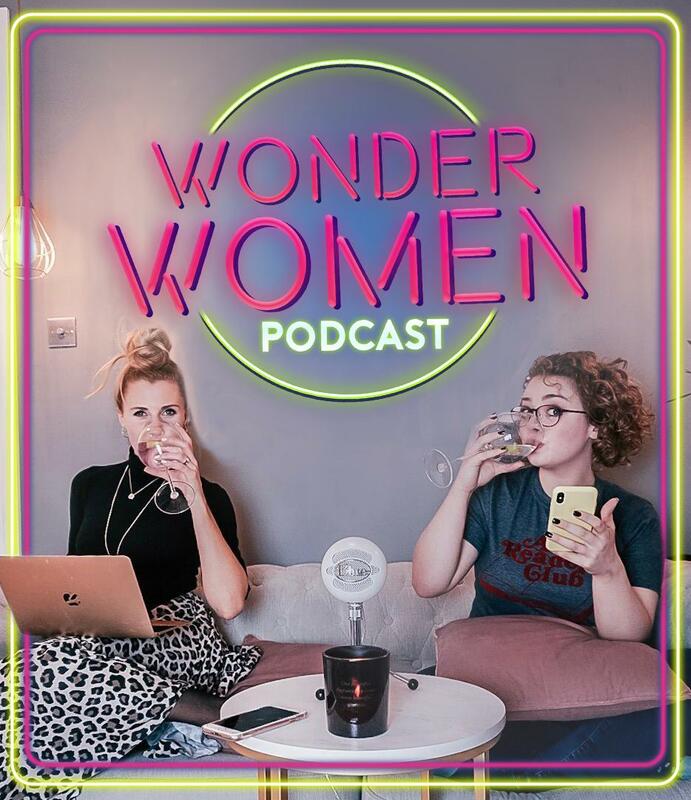 We went on holiday to DisneyWorld together last April and whilst wandering around the Magic Kingdom, we came up with the idea for a podcast called Wonder Women. Celinde and I were prone to having conversations that made us feel incredibly inspired, creative and fired up in one way or another and we liked the idea of sharing these conversations in the hopes that maybe there are others out there who feel the same way as we do! We did record a few episodes last year but we were unpracticed and they weren't as good as we wanted them to be. So we really put our heads down and our first episode was released on February 3rd. The response was overwhelming! Our second episode only went up this morning and it's already had way over over four thousand listens and for a twenty minute podcast, that ain't bad at all! If you fancy a listen, I've put a little podcast player on the right hand side of this blog so you don't even have to go anywhere else to hear it! Finally, Celinde and I ended the month in style by visiting Doughnut Time! Now, I must state clearly that I am not sponsored by Doughnut Time nor have I been paid by them and so do not have any obligation to talk about them in this blog however it counts as a #gifted experience as I did eat my fair share of free doughnuts! I'm talking about it in this blog because of how ridiculously good their doughnuts are and how lovely all their staff were! If any of you pass one of their stores, I highly recommend the Ice Ice Bae Bae and the Sia Later. (I know some of you expressed concern about the AUS stores allegedly not being too kind to their employees and not wanting to support a sketchy company however, after conversations with the staff here, I was informed that it's an entirely different owner here in the UK who bought the Doughnut Time rights from the people in AUS. So it's a group pf completely different, lovely people here in the UK despite it being the same brand, if that makes sense?) Anyway, thank you to Libby for inviting us and filling us full of doughnut goodness! It was a wonderful way to end the month! In amongst all of that, I did have two other auditions (neither of which were successful...! ), a few meetings with various different people all over the shop and a couple of meetings for someone else's secret project that I sincerely hope goes somewhere because of how utterly brilliant it is! Quite a busy start to the year but (and I know I say this tempting fate) but things are starting to quieten down now in the lead up to rehearsals for Les Mis in July! I'm really looking forward to having a little bit of time to do normal human being things like do my laundry and hoover the house. I also have a very large bag of letters that, so help me, I am going to make my way through before Les Mis arrives! Mark my words, I'm gonna do it! Wish me luck! Brilliantly written Carrie and an exciting month.....my main takeaway, tampons have an expiry?! Who knew. I have always enjoyed your blog and it even inspired me to create my own (shameless self promo: thirteenmiracles.us)! But also I had never really thought about sanitary products having an expiration date and I am going to go check mine right now. I just started the pilates too! I’ve had approximately 270 periods and now you tell me that sanitary items have an expiry date?!?!?! Just checked mine. Thought I had done the same as you and stockpiled beyond my needs, then realised I was looking at the date they were packed rather than the month they expire . Interestingly, organic tampons don’t tend to list a date but manufacturers recommend using within three years. Fascinating. Thanks for the facts! I have now booked a reformer Pilates assessment as I have been planning on doing this for about 4 years now.